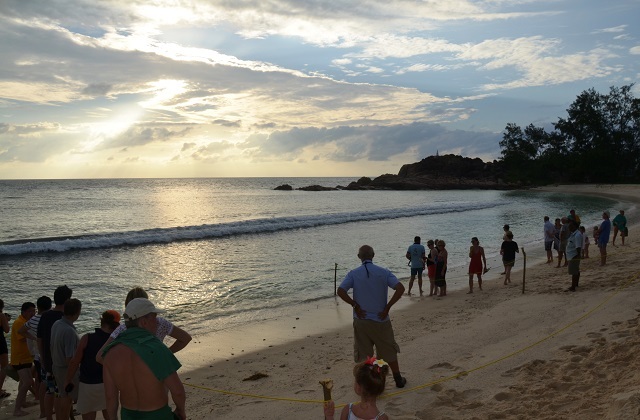 (Seychelles News Agency) - With extreme care and pride, Robert Matombe carries a large box full of highly prized possessions - 156 baby sea turtles that have been collected over the past two days on the premises of Constance Lemuria Hotel, located on Praslin, the second most populated island of the Seychelles archipelago. Cradled between lushly-vegetated hills and overlooking two isolated and spectacular beaches, namely Petite Anse Kerlan and Anse Georgette, this luxury hotel has more to boast about than its 18-hole championship golf course. The five star luxury hotel with a reputation for decadence and lift-no-finger policy, has since its inception in 1999, started a programme of carefully monitoring sea turtle nests. The Constance Hotel group, which has hotels in Mauritius, Maldives and the Seychelles, was last week awarded Green Globe certification for their “significant contributions” to sustainable management in some of the worlds’ most unique and sensitive island ecosystems. 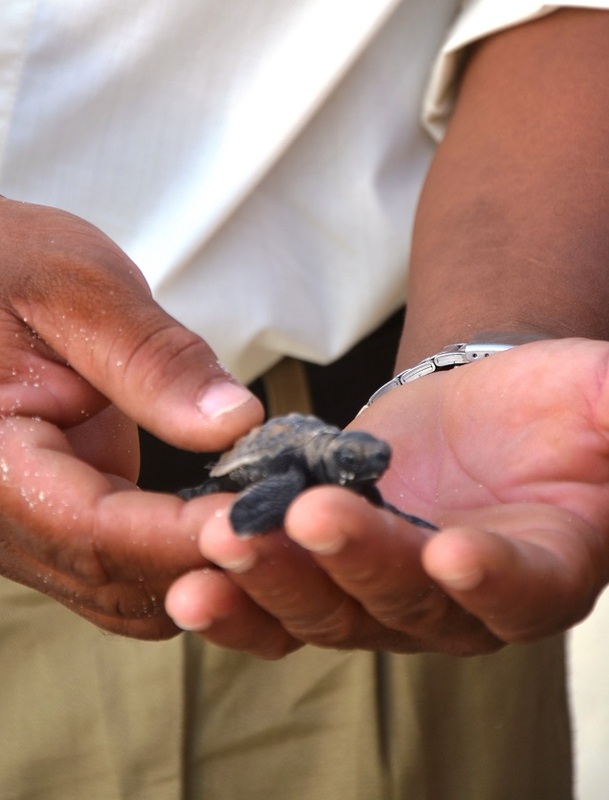 On that particular morning, Robert, who is the hotel's assistant landscape manager, had collected several baby sea turtles which hatched earlier than expected. “We had earmarked two nests but expected the eggs to hatch later,” Robert told SNA, noting that some females lay eggs at night and nests are sometimes only found days later, which accounts for an inaccurate estimate of the expected hatching date. Sea turtle’s eggs tend to hatch between 56 and 71 days after they are laid by the females. Disoriented, the fragile babies were floundering between roots and foliage at the edge of the beach and some even ended up at the pool bar of the hotel and underneath sun loungers laid out for the guests. “We had a search party going over two days at spots that we had earmarked as nests of sea turtles. 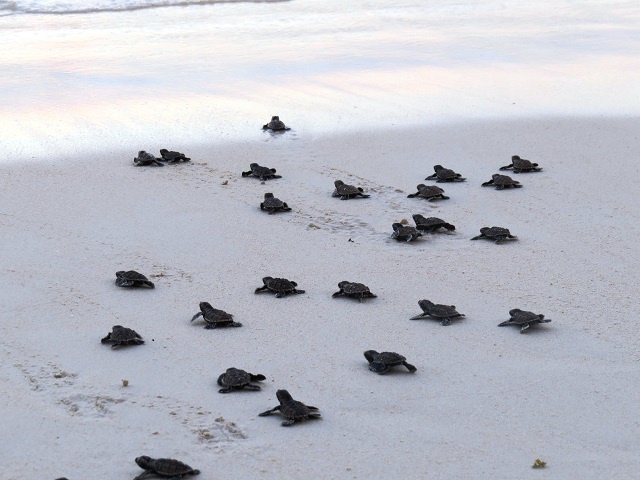 Several babies have successfully staggered towards the sea at dawn but we had to be sure,” said Robert, who is often referred to as the Turtle Man in view of his keen interest in the programme. The hotels guest joined in the search party with gusto and herded the 156 babies together, which were then released into the sea. The moment they were freed was a golden photo opportunity for the fortunate tourists. The tiny creatures stumbled and fell, and some were even washed back ashore several times. Had the humans not been watching within a safe distance, with their cameras in hand, many of the turtles would have been eaten by lurking crabs and swooping birds or simply died of exhaustion trying to get down the beach by themselves. 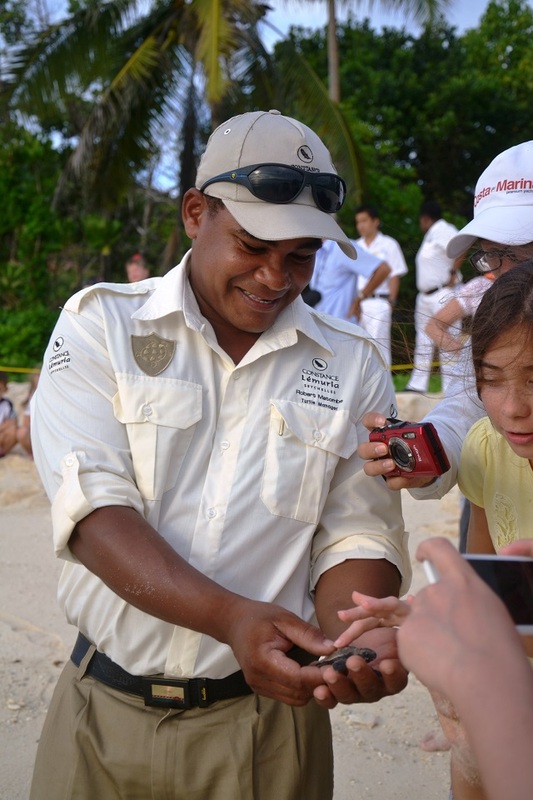 Such events are often marketed by Constance Lemuria Resort on their website as part of their package offering, and according to Robert, many regulars ensure their visits coincide with the sea turtle breeding season. As they struggled out into the vast ocean, the turtles are oblivious to the dangers that await them there. It is estimated that only one percent of sea turtle hatchlings survive to maturity and they only start nesting between twenty to forty years later. The rest fall prey to predators such as fish, sharks and seabirds while others are killed by human poachers, caught up in industrial fishing nets or die prematurely by ingesting environment polluters such as fragments of plastic. The Seychelles archipelago is a common nesting ground for two out of seven species of sea turtles in the world; the green sea turtle and the hawksbill sea turtle. Both species frequent the tropical regions, with the hawksbill turtle or Eretmochelys imbricate listed as critically endangered and the Green turtle or Chelonia mydas listed as endangered on the Red List of the International Union for the Conservation of Nature (IUCN) which is the main authority on the conservation status of species in the world. The nesting season for both species of turtle in the Indian Ocean archipelago is between October and April, coinciding almost exactly with the calm monsoon season when gentle trade winds blow towards the north-west. A hefty penalty applies to poachers, although isolated incidents of sea turtle poaching are reported each year. The endangered creatures are protected under the Seychelles’ Wild Animals (Turtles) Protection Regulations of 1994. 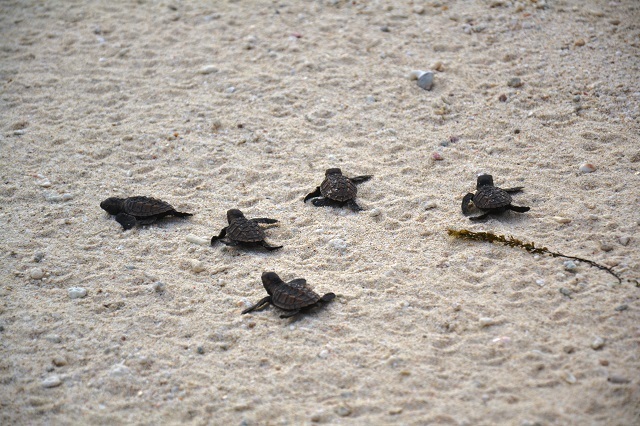 Located at the northwest coast of Praslin, at the far end of the island of around six thousand inhabitants, the isolated and undeveloped area has become a beacon for sightings of sea turtles and nests, especially as hawksbills in Seychelles, unlike those which nest in other countries, often nest in broad daylight. “Every year we record a dozen or so nests, and most of the eggs - over 100 laid by each female of both species - ends up in successful hatching which extends until the month of March,” says Robert, who hopes these new babies will return in a few decades to boost the numbers again to help save the species. Une entreprise innovante aux Seychelles veut transformer les algues en fertilisant.